I have to wear glasses now for reading, screen work etc and there is something super stylish about wearing them, even tho it's only for a short period of time! Weirdly, I can see better now than I used too ... But I still need specs. It would be great not to need them though! I'm also too squeamish for laser surgery! I hate wearing glasses and from 17 I wore contact lenses all the time, except late night at home alone. 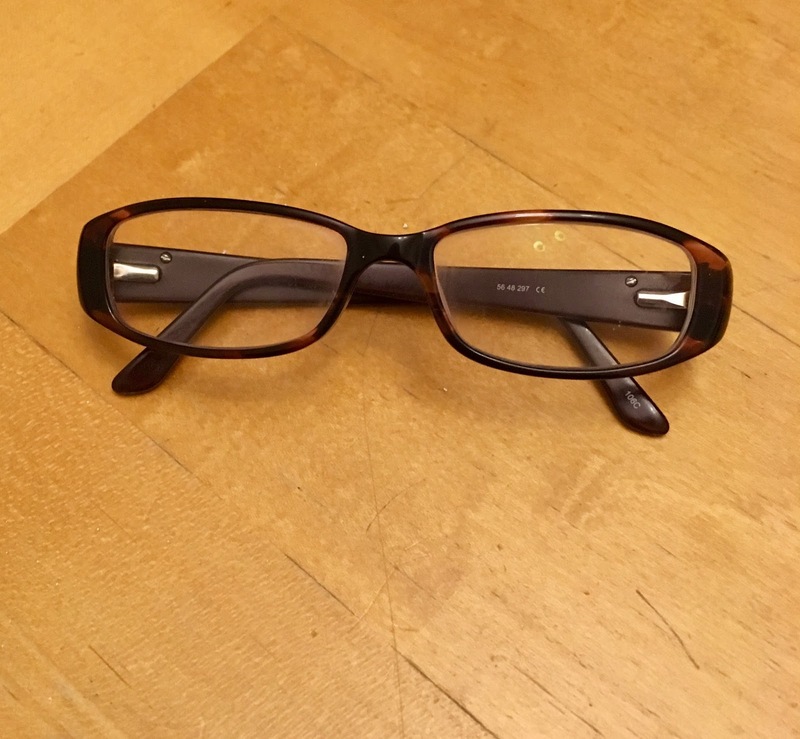 But since the kids, I actually wear my glasses most of the time, and contacts just for special occasions, as it's less messing around & my eyes are often tired and sore! Also, whilst there is a down of the kids trying to take the glasses, it does stop some of the eye pokes I would otherwise get! The eye pokes are terrible! Small fingers are sharp! Ha ha. I take them back off to get dressed and most days loose them in the bed, not such a #coolmum! I've done that. Fortunately, I've never laid on them. I suspect they wouldn't survive!